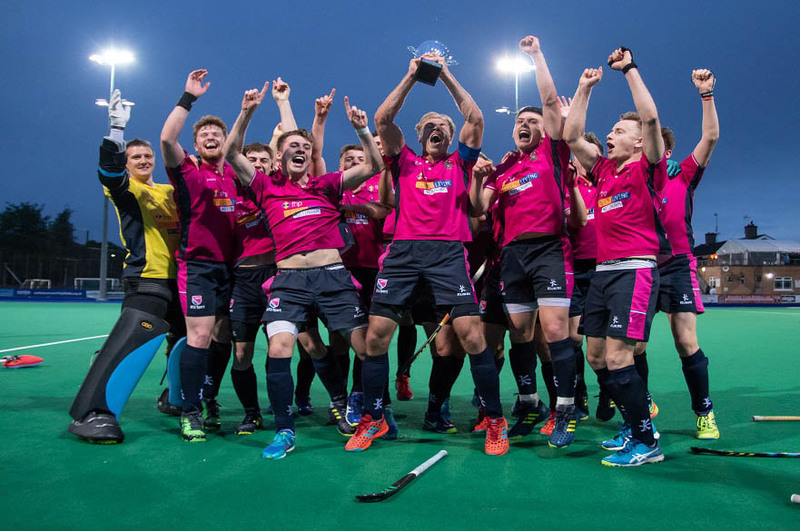 With the Varsity 2018 now concluded, we look back on NTU's sporting performances across a very exciting series. The whistle has blown time for the 2018 Varsity series, and after one of the closest events to date, we’re taking some time to reflect on the incredible sporting performances we’ve enjoyed over the past three weeks. After calling varsity halftime, it’s time to see how we did in the remaining games: Golf, Hockey, Lacrosse, American Football, Basketball, Netball and Futsal. 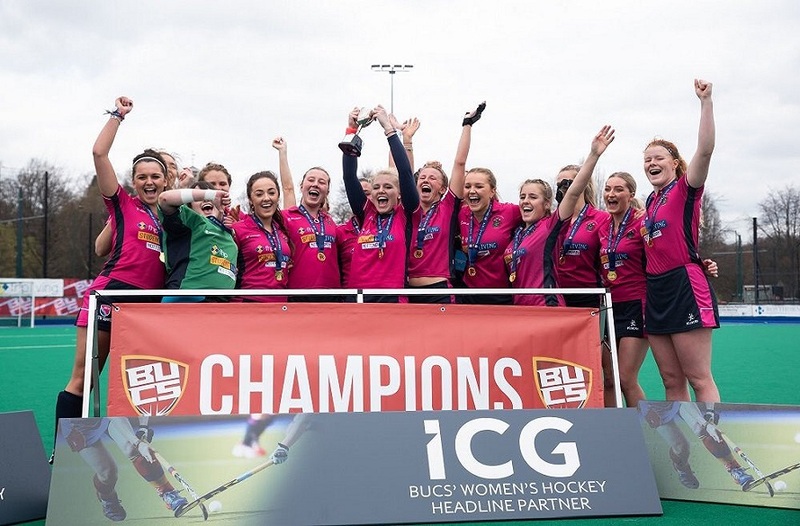 After what has been an action-packed series, the University of Nottingham have defended their varsity crown to take the overall win by a tight margin.The very close result is testament to the continued hard work and improvement of our talented NTU athletes and their support networks. The busiest day of the varsity series, featuring a whopping six games in total, all worth their own varsity point. Golf, Hockey (Men’s and Women’s), Lacrosse (Men’s and Women’s) and American Football spanned across more than twelve hours. NTU where hoping for a hole in one win for as they set out to compete at Ruddington Grange Golf Club for the day. Beginning at 8:30, NTU Golf held their own against the tough competition to make the score 3-2 to UON ahead of the 2nd round. But UON weren't to be caught as the day progressed into the evening. UON took the varsity point, final scores at 9.5 - 5.5. Women’s - Up next the Women’s Lacrosse team took on UON at the Lady Bady grounds. The competition was a tough one for NTU, with the opponent taking a strong lead in the first half. NTU managed to close the gap slightly in the second, but UON finished with the win, final scores at 15-5. 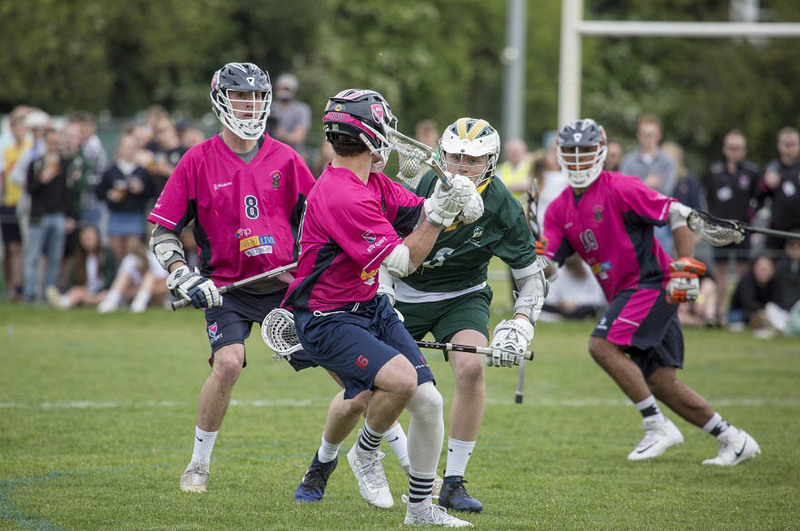 Men’s - Men’s Lacrosse have had an incredible season to be crowned BUCS Champions, but with a few players unable to attend and a strong opponent, they still faced a challenge. UON burst out of the gates with an initial lead, but by halftime NTU had caught up to make the scores UON 6 NTU 5. The second half saw NTU take their play up a gear to equalise the scores immediately before breaking ahead to take a 10-8 win and another varsity point for NTU. Women’s - Women’s Hockey struggled to make a goal against a fiercely tough opponent, but played a very strong defensive game throughout the entire match at the Beeston Hockey Club grounds. A final score of UON 6 NTU 0 meant a varsity point to the opponent after what was a hard but well-played match for NTU. Men’s - The Men’s team managed to play through the opponent's strong defence to make a goal in the first half, going into the second with scores at 1 - 0 to NTU. Both teams held their own, with UON struggling to score. NTU took the victory and another varsity point, 1- 0. The Lady Bay grounds were busy into the late evening, with American Football playing out until around 9:15pm. A large crowd cheered both sides into halftime, with the score standing at UON 13 NTU 6, with all still to play for in the second half. Strong efforts from NTU brought the score up, but the gap wasn’t to be closed by full time, and the very busy day of varsity sport concluded with a win for UON, 32 -12. 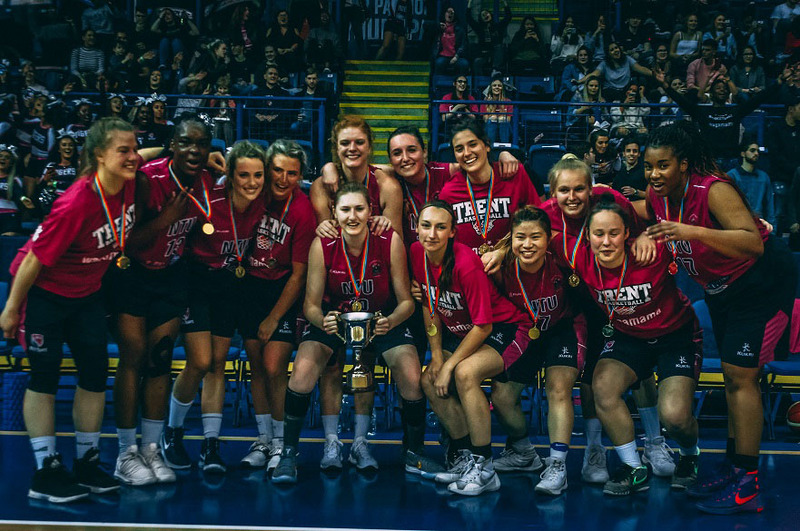 Women’s - In what was one of the most successful events for NTU, Women’s Basketball set the pace at the busy Motorpoint Arena on the final Friday of the series. Scores stood at 33 - 31 to NTU ahead of the third quarter, with both teams demonstrating determined play. But it was NTU that won the day with exceptionally strong play in the second half, they finished ahead with a final score of 53-48. 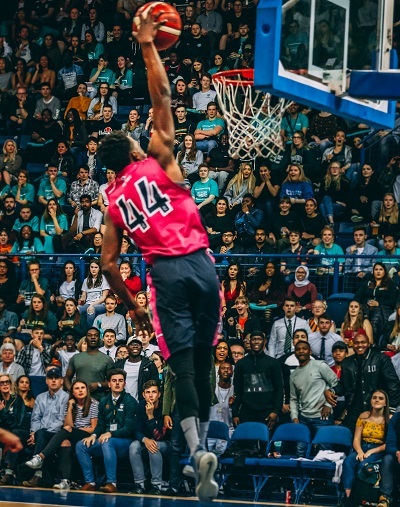 Men’s - Hoping to replicate the women’s success, Men’s Basketball gave the crowd another close game. Halftime scores stood at NTU 34 UON 31, and by the end of the third quarter it was 45 all, with all to play for. With both teams giving their all for the win, an exciting final quarter sent the NTU crowd wild when NTU took the victory with a score of 64 - 58. The David Ross Sport Village set the stage for Netball and Futsal on the final day of the varsity series. First up NTU Netball had their eye on the prize against a strong, quite evenly matched opponent. Proactive play from NTU meant the team were able to hold a steady lead in the second half, to achieve a final score of 39 - 34, claiming another varsity point for NTU. Women’s - The women’s team faced a heavy challenge against a tough opponent, and struggled to make a score in the first half. By the second half they’d upped their play to make three goals and strong defensive efforts, but it wasn’t enough to catch UON, who won with a score of 13 - 3. Men’s - The first half of the Men’s Futsal saw both teams score well but struggle to break ahead, taking it to halftime with a score of 2-2. But during the second half NTU’s incredibly strong team effort saw them shoot ahead to take a comfortable victory with a score of 7 - 3. Thank you for a fantastic series! We want to congratulate every single varsity competitor, we are very proud to see NTU athletes continuously improve and raise the bar. 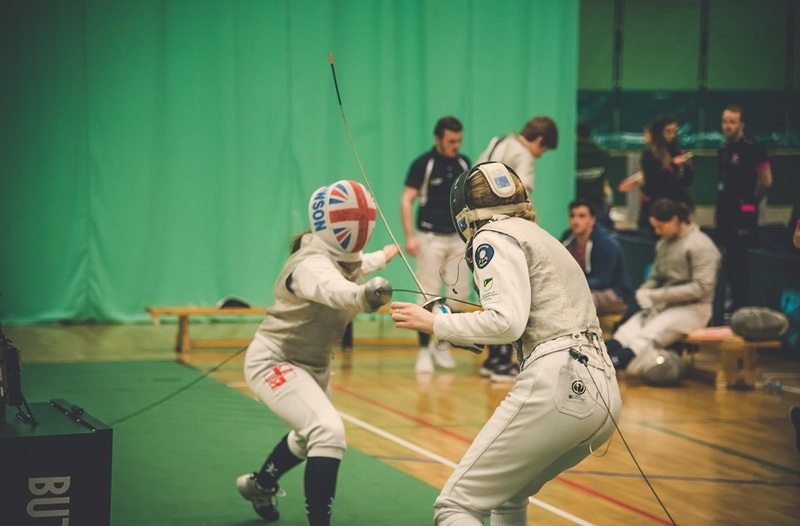 Thanks go to their devoted support teams, the venues who hosted many of the games and of course staff and volunteers, without whom the event would not be possible. 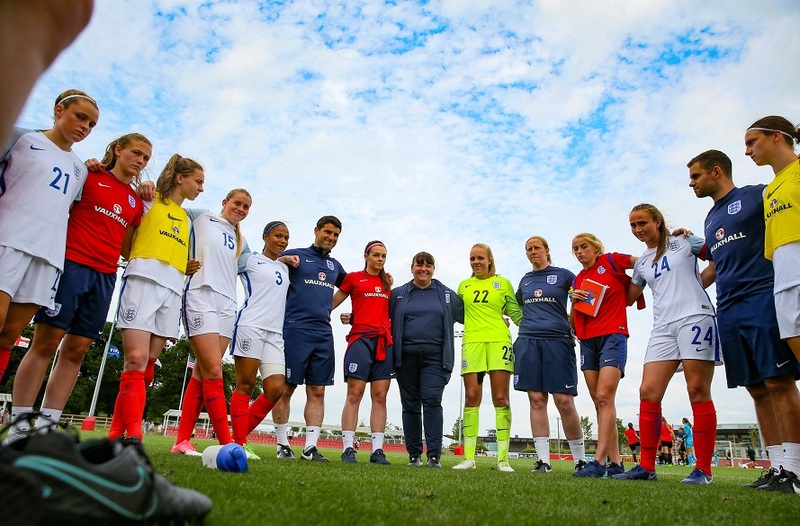 With the Women’s Football match rearranged due to the very successful season Notts County have had, final scores are yet to be officially confirmed. Please watch this space for updates.